Solitary and the "Lily of Quito," Ecuador. 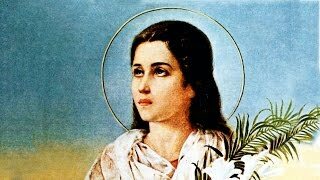 She was born Mariana de Paredes y Flores and called herself Mariana of Jesus. Born in Quito she was a hermitess in her brother-in-law's residence. Mariana offered herself as a victim for the city during an earthquake in 1645 and died. She was canonized in 1950.